Picchi's English-Italian dictionary (published by Hoepli) is available for free from La Repubblica website: Dizionari - La Repubblica. The same site also offers the Grande Dizionario di Italiano Hoepli. The current incarnation of the excellent Sansoni English-Italian dictionary (published by Rizzoli) is available online at the Corriere della Sera website: Dizionari e Traduttori - Corriere della Sera. 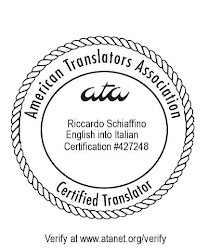 The same web page also offers several other Italian monolingual dictionaries and Italian-Spanish, Italian-French and Italian-German bilingual dictionaries. The venerable Hazon English-Italian dictionary is available from the Garzanti website: Garzanti Linguistica, where you can also find Garzanti's Italian monolingual dictionary and an Italian-French bilingual dictionary. The English-Italian bilingual dictionary I'm currently using most often is Ragazzini's. You can subscribe to it on Zanichelli's site (Dizionari online Zanichelli). From the same site you can subscribe to several other dictionaries, including Zingarelli (Italian monolingual), Tommaseo (a historic Italian monolingual dictionary), several different specialized English-Italian bilingual dictionaries, and other bilingual dictionaries including Italian-Spanish, Italian-French, Italian-German, Italian-Russian and Italian-Albanian. Oxford-Paravia Concise English-Italian dictionary is available from the Oxford-Paravia website. WordReference.com offers access to two different English-Italian dictionaries: its own and Collins'. The eLexico.com website offers a wide range of bilingual and monolingual dictionaries, either via online subscriptions (generally more expensive than those available from Zanichelli), downloadable installable dictionaries, or both things combined. Among the dictionaries downloadable from eLexico.com are Picchi, Sansoni, the excellent Italian monolingual Devoto-Oli, and many others. I've added links to the Lexicool and Treccani sites, thanks to suggestions by Carlotta Saconney and Licia Corbolante. Additional resources can be found in the Treccani site. Its Italian dictionary is excellent and any search in the thesaurus will display a dropdown list that expands the search to various encyclopaedias, including one of my favourite reference books, Enciclopedia dell’Italiano (“un’opera nuovissima sulla storia, la struttura, i personaggi, gli usi e i contesti dell’italiano”). Oh, yes, thank you Licia!... I don't know how I forgot mentioning the Treccani site, considering that it's among the tabs that load automatically whenever I start my browser. May I suggest that you also look at Lexicool.com’s page on bilingual dictionaries and resources Italian-English http://www.lexicool.com/italian-dictionary-translation.asp that allows you to search directly in a number of quality online dictionaries. What a beautiful language Italian is. Too bad I can't speak a word. Good luck! These are very helpful resources! Italian is such a lovely language, and is easy to learn when you already know a Latin-based language, but sometimes you need a dictionary for when you have no clue what word to use. Thanks for the links, I'll be sure to use them! My best friend is learning Italian because he is going to Italy for a job. This could be good news for him. He is looking for online dictionaries.